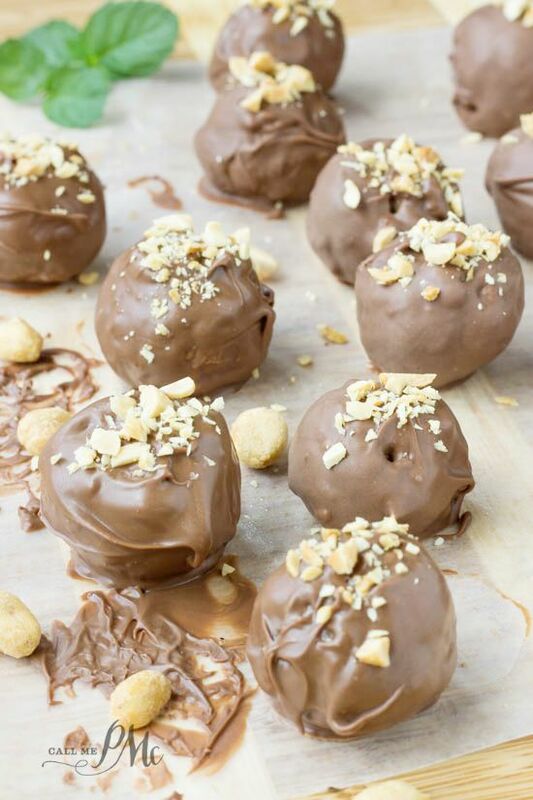 Chocolate Coated Banana Bread Cake Balls are a fun and easy two-bite dessert. 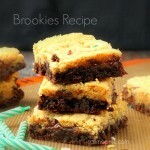 They’re so good, you’ll want to shovel the entire batch into you mouth in minutes! 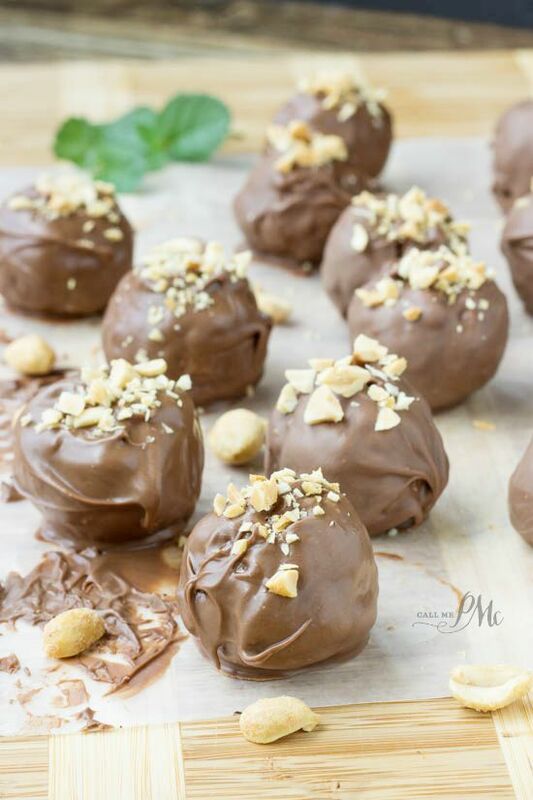 Using banana bread for cake balls is not what you expect, but any cake can be used to make cake balls, or cake truffles as some like to call them. 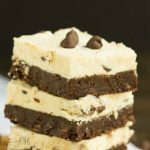 Pair the banana bread with your favorite frosting, chocolate, peanut butter, and cream cheese are some options. After not using Pam Original Cooking Spray and my cake falling apart because it stuck so badly to the pan, I had a mess on my hands. Short on time, and apparently high on creativity, I realized I could make cake balls out of my mess of a cake. After all with cake balls, the cake gets completely crumbled and mixed with icing. I made these Chocolate Coated Banana Bread Cake Balls and it’s one of my more pleasant ‘mistakes’. The mixture should be moist enough to roll into 1 inch balls and hold together. Line a baking tray with waxed paper to place the balls on. Use a 1-inch spring release scoop to form balls. After rolling the mixture into balls, cover and chill a couple of hours in the refrigerator or 15 minutes in the freezer. At some point even the best cooks make mistakes and mishaps in the kitchen. Sometimes they can be salvaged like with my Chocolate Coated Banana Bread Cake Balls and other times they cannot. 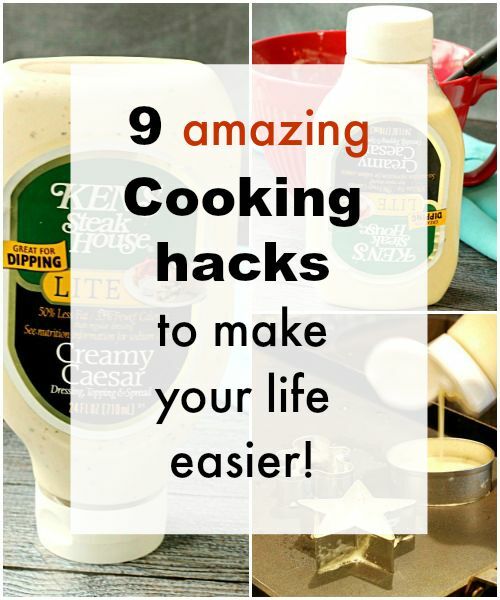 This got me to thinking about cooking hacks and shortcuts in the kitchen. These are little tips and tricks that make your kitchen experience better. What happens when you’re cooking and you realize the cream cheese or butter should be room temperature? To speed the process of getting it to room temperature, cut the cream cheese or butter into small cubes and it’ll come to room temperature much faster. Use a squeeze bottle for pancakes or funnel cakes. 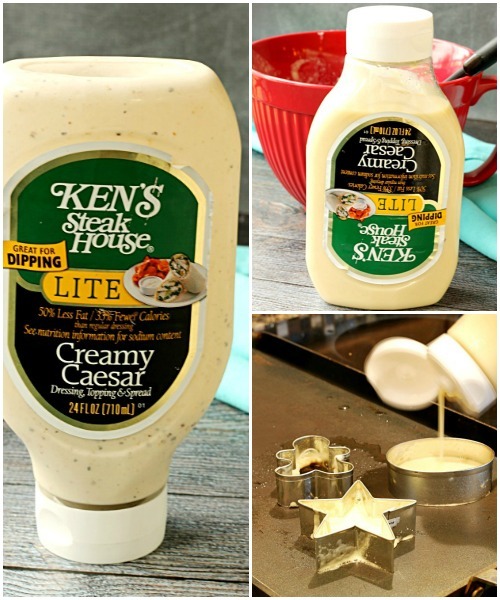 All you need to do is clean out a ketchup or salad dressing bottle. 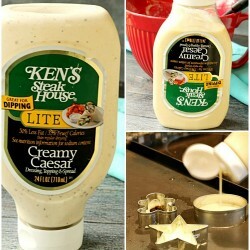 Using a funnel, pour your batter into the bottle and replace the lid. Now it’s easy to squeeze out fun pancake designs. Start with simple forms like a snowman or Mickey Mouse. You can use a similar method if you forget to set the eggs out to come to room temperature? Add 1 and 1/2 cup water to a bowl. Heat the water in the microwave for 1 minute. 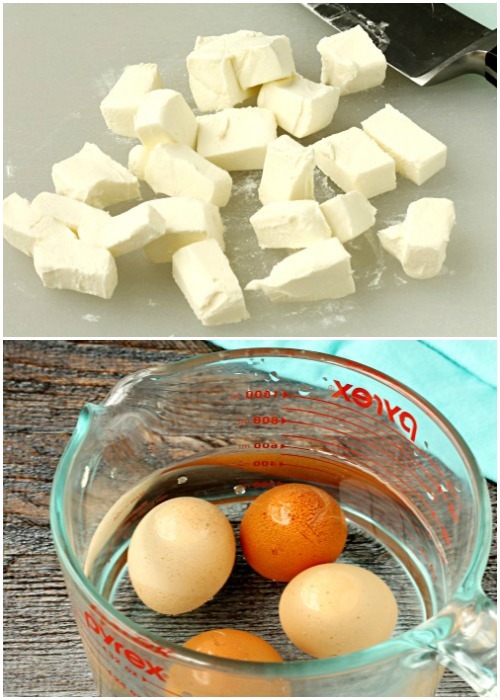 Remove the bowl and place eggs in water. Allow the eggs to set in the water for 5 minutes. To make cleanup easier when measuring sticky foods like syrup or honey, spray your spoon or spatula with PAM Original Cooking Spray. The sticky food will slide right off! PAM leaves 99% less residue than margarine or bargain-brand cooking sprays too. To get more juice from citrus, try heating it in the microwave 20 to 30 seconds first. Instead of cutting butter into pastry and pie dough the traditional way, grate frozen butter on a cheese grater. Then simply stir the butter into your recipe. And two cooking hacks that you can readily use with this recipe. If you cake sticks to the pan (it won’t if you use PAM Original Cooking Spray.) 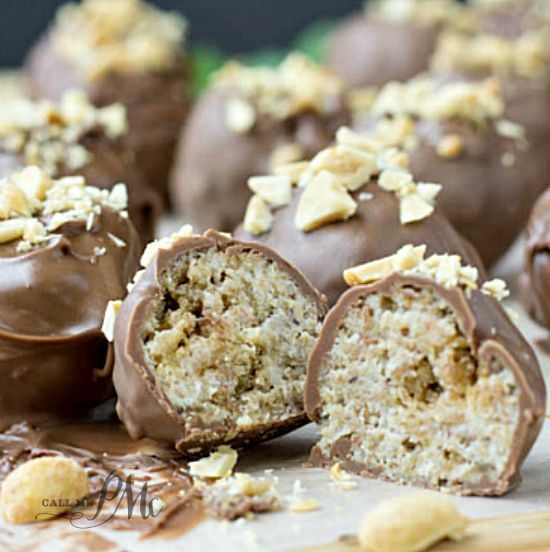 turn that cake fail into a success and make these Chocolate Coated Banana Bread Cake Balls. When coating your truffles with chocolate, first spray your bowl with PAM Original Cooking Spray before melting the chocolate. You cleanup time will be much quicker and easier! Now, let’s get to these Chocolate Coated Banana Bread Cake Balls. I first was so sad over this cake breaking apart. After eating a couple Chocolate Coated Banana Bread Cake Balls I may have changed my mind! 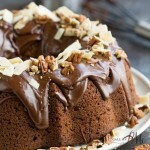 Chocolate Coated Banana Bread Cake Balls are rich and decadent. Great as planned or unplanned if you have a cake that stuck to the pan. 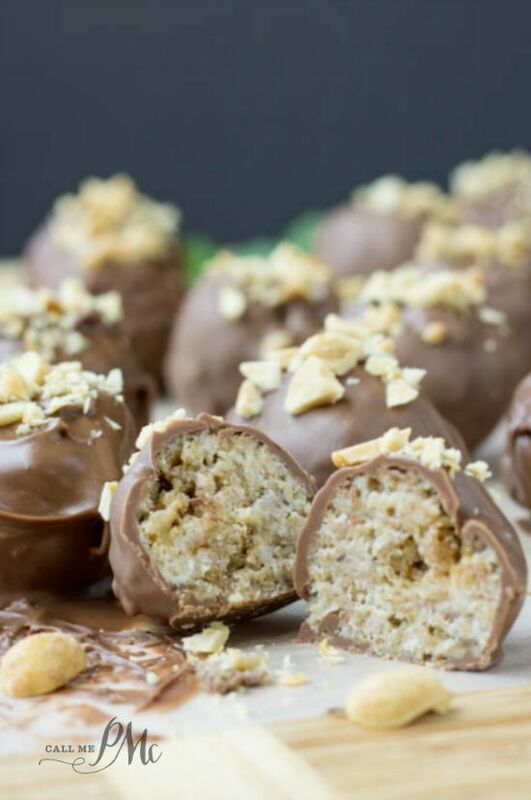 These Chocolate Coated Banana Bread Cake Balls are made from banana bread and dipped in a white chocolate. In a mixing bowl, beat peanut butter, brown sugar, and butter until smooth and fluffy. I find an electric mixer works best for this. Add the egg and vanilla, stir until combined. Add the oats, flour, wheat germ and baking soda until completely combined. Bake 20 to 25 minutes until set and lightly browned. 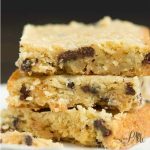 Crumble bread in a large bowl, stir in frosting until cake is moist with frosting and sticks together easily. Scoop cake into balls. I use a 1-inch ice cream scoop for this. Place balls on a sheet of waxed paper. I use a 8x12 inch casserole dish that will fit in my freezer and place the waxed paper in it. Freeze for 20 to 30 minutes or refrigerate an hour. You'll want the balls firm; they're easier to dip in the chocolate cold. 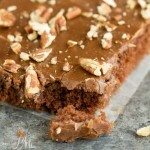 Melt chocolate at 30-second intervals in microwave. Stir until smooth. 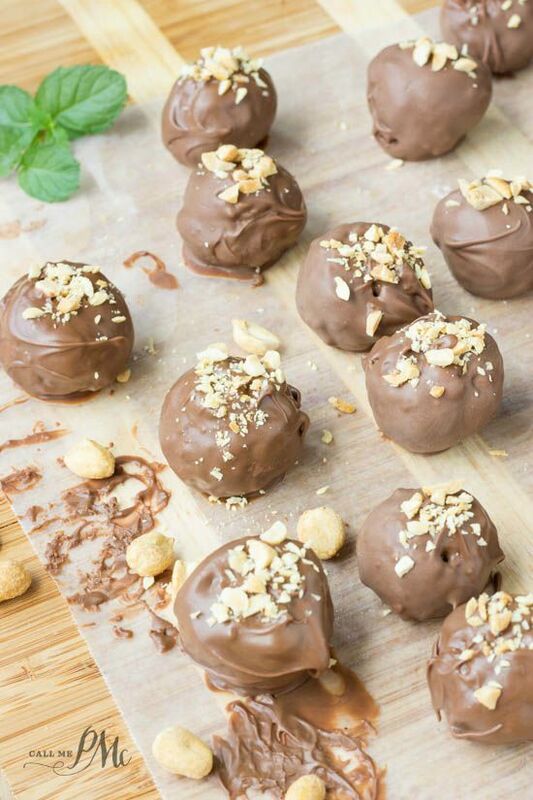 Using 2 forks or skewer, dip each ball in chocolate. Tap on side of bowl to allow excess chocolate to drip off. Place on waxed paper or parchment paper to dry completely.